and war crimes during Bosnia's devastating 1992-95 war. Mladic, who faces 11 counts, stands accused of commanding forces responsible for crimes including the worst atrocities of the war — the deadly three-year siege of the Bosnian capital, Sarajevo, and the 1995 massacre of some 8,000 Muslim men and boys in the eastern enclave of Srebrenica, which was Europe's worst mass killing since World War II. 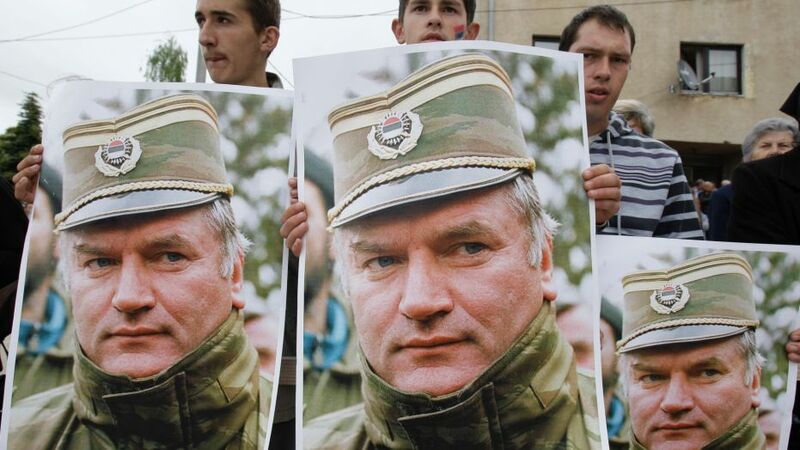 The three judge panel will rule Wednesday on whether the 75-year-old former general is guilty or innocent and, if they convict Mladic, they will immediately pass sentence. Prosecutors have sought a life sentence.